Welcome to the www.albanian-hotels.com, We are a tour operator in Albania to offer hotels in all cities and villages of Albania, Tirana, Durres, Vlora, Saranda, KorÃ�Â§a, Pogradec, Shkodra, Voskopoja, Shengjin, Velipoje, Radhime, Dhermi , Kukes, Golem, Lushnja, Berat, Gjirokastra, Voskopoje, Fier, Elbasan, etc.We also offer a categories hotels in Albania such as hotels and business hotels, beach hotels, hotels mountain hotels airport, hotels, etc. 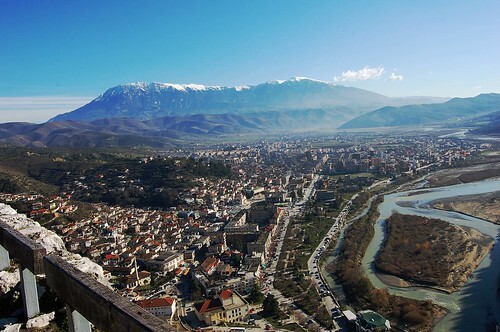 At www.albanian-hotels.com page you'll be able to obtain all relevant information for each hotel in Albania, and also located using Google Earth, the exact price by type of hotel rooms that you can see what is included in the price, picture gallery for each hotel, etc and meny other information of Albania Hotels. This web-site take all those details from a database of highly detailed information from the Albanian Hotels Portals that is www.edialtour.com.